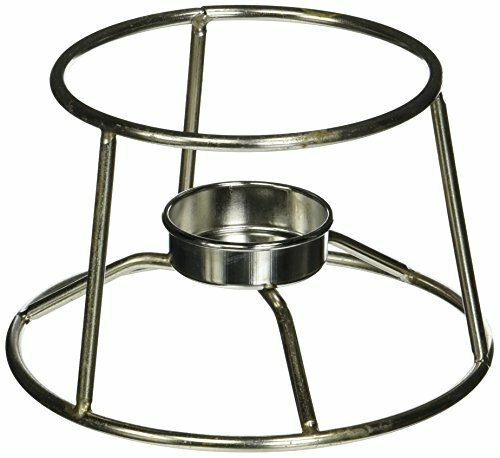 The American Metalcraft CIFDR Fondue Pot Stand is perfect for your smaller fondue pots. Made of stainless steel, it is designed to go straight from the oven to the dining room table. This fondue pot stand measures 5-inches diameter and is convenient to take to any cookout, luau or romantic evening. The fondue pot is available in a time-and-money-saving pack of 48. (Tea lights not included.) With 70 years of service, American Metalcraft is a leader in the foodservice industry for trend-focused and unique products.